Share and Play All-day Built with the technology to help you work all-day on millions of apps and then chat using the webcam. All Day Productivity With a battery life of up to 12-hours1, your laptop is designed to stay at your side for the entirety of the day. Google Play2 Get access to more than 2 million Android apps from Google Play to learn and do more2. Wide-Angle Webcam Stop crowding around the laptop and let more of the room be seen with the 88�� wide-angle webcam. Wide Angle Display Share what's on your screen with friends and family as colors stay true no matter what angle you're viewing from. Top-Facing Speakers Hear sounds in greater immersive clarity when they're delivered up. This is my 3rd Chromebook. I am a disabled 63 yr. old who uses this for Internet purchases and bill paying capabilities. The problems I have had previously with Chromebooks is the failure of the charging ports . I also had this problem with this one after only one month. The charging port male connector was slightly bent when I received it and I should have sent it back immediately, but the urgency of my need prohibited this at the time.When it failed to charge after one month of use, I returned it. I was very pleasantly surprised of the swiftness of the return, and the speed with which I received my new one.I LOVE this Chromebook!! Besides having the larger screen, the quality of the speakers is FABULOUS!! I urge anyone who wants to buy a GREAT Chromebook to purchase this one! It fulfills every need I have to conduct my business, as well as superior sound and/or color quality. 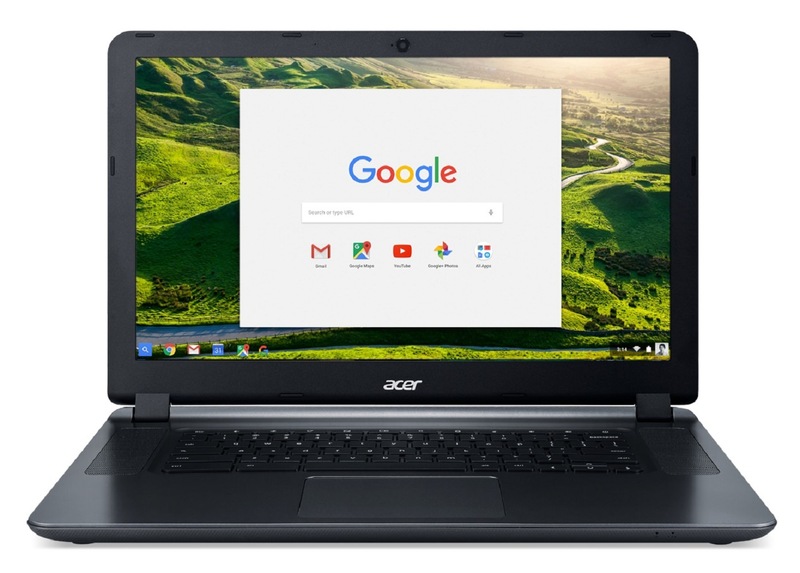 Tbook.com crawls the web to find the best prices and availability on products like Acer Chromebook 15 CB3-532-C4ZZ Celeron N3060 1.6 GHz 4GB, 32GB Storage 15.6" Chrome OS Notebook. This product is one of the more popular items we list which is why it is in our "hot deals" section. If you have any questions on this product, please give us a call at 734-971-1210 during the hours of 9am - 5pm EST for assistance. Thank you for shopping at Tbook.com, the Internet Department Store!